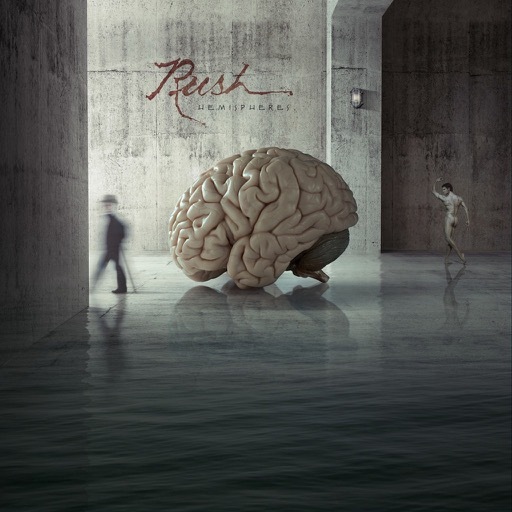 Rush will release a series of expanded reissues of their 1978 album, “Hemispheres”, on November 16. The “Hemispheres” 40th Anniversary series will be available in multiple packages, including the Super Deluxe Edition, the 2CD Deluxe Edition, a 3LP Deluxe Edition, and a Deluxe Digital Edition. The Super Deluxe Edition (see track list below) includes two CDs, one exclusive Blu-ray Audio disc, and three high-quality 180-gram black vinyl LPs. The set encompasses the Abbey Road Studios 2015 remastered edition of the album for the first time on CD, along with previously unreleased and newly restored bonus content consisting of the band’s masterful June 1979 Pinkpop Festival performance in the Netherlands. Unfortunately, the Pinkpop recording engineer failed to capture the first several minutes of “2112,” so an amazing, unreleased performance of the song during the Hemispheres tour from Tucson, Arizona in November 1978 appears here in its place. The third bonus disc is the album newly mixed from the original multitracks in 5.1 surround sound on a Blu-ray Audio disc, along with four bonus videos: three shot in 1978 as promo videos, and one of “La Villa Strangiato,” originally shot at Pinkpop with newly restored stereo audio. The Super Deluxe Edition will also include several exclusive items, including a 40-page hardcover book with unreleased photos and new artwork by original album designer Hugh Syme; an extensive, 11,000+-word essay by Rob Bowman; The Words & The Pictures, a replica of the band’s rare 1979 UK tour program; a 24x24-inch wall poster of the newly created Syme art; a Pinkpop Festival replica ticket; a Pinkpop Festival replica cloth VIP sticky pass; and a replica 1978 “Rush” Hemispheres iron-on patch. The 2CD Deluxe Edition digipak includes the newly remastered album; the Pinkpop Festival performance and “2112” from Arizona; a 28-page booklet with unreleased photos and new artwork by Syme; and an edited, 5,700-word version of Bowman’s essay. The 3LP Deluxe Edition presents the same audio content as the 2CD edition housed in a slipcase with double-gatefold packaging, along with a 24-page booklet with unreleased photos and Syme’s new artwork and the 5,700-word version of Bowman’s liner notes. Gatefold 1 features the original album with Syme’s 40th anniversary artwork, while Gatefold 2 contains the Pinkpop Festival and Arizona bonus content. A 5x5-inch digital download card sticker of Syme’s new 40th anniversary art is also included. The Deluxe Digital Edition is the digital equivalent to the 2CD Deluxe Edition.